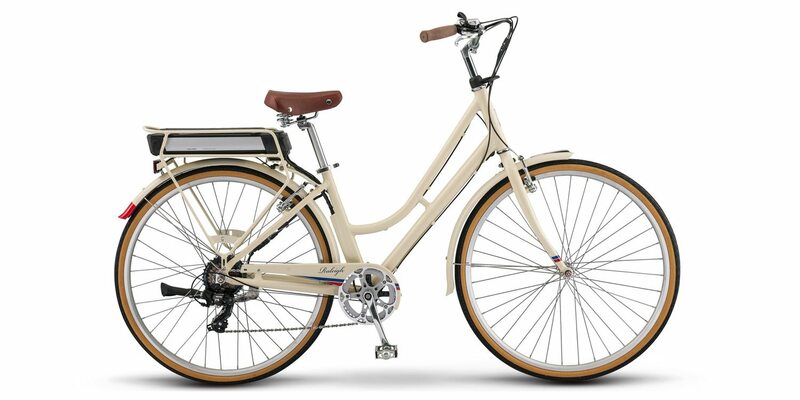 The Raleigh Superbe iE is a bicycle first, with just a dash of electric. And that’s not to say it isn’t powerful or effective… just that the drive system doesn’t get in your way or change the appearance much. 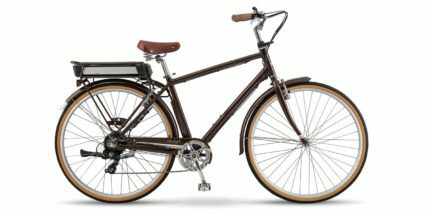 This is a beautiful, vintage-styled electric bicycle harkening back to Raleigh’s long, rich history of bicycle making in England. I love how approachable this bike is, especially the step-thru version. It’s available in two frame styles including a diamond high-step that rides a bit stiffer but isn’t as easy to mount. Both frames only come in one color but they are different (a cream for the step-thru and brown for the high-step). You get three frame sizes spread out across four style/size combinations. 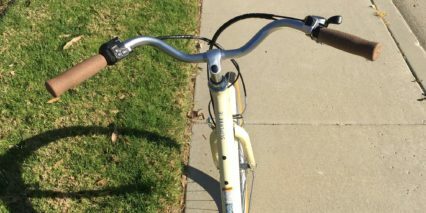 For this review, I was riding the small step-thru but was able to raise the saddle enough pedal comfortably. 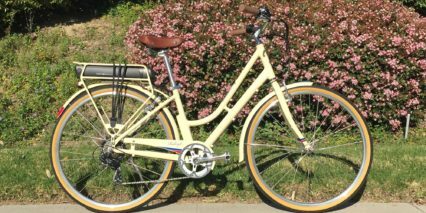 The geometry is relaxed and upright with swept-back handlebars, comfortable rubberized cork grips and a cushiony sprung saddle. Even though you won’t find a suspension fork or larger balloon tires here and the frame is all Aluminum (not exactly known for comfort) it actually felt pretty good to me. 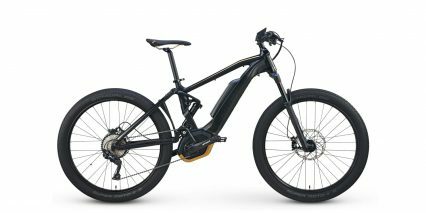 This is a Class 1 e-bike that can reach 20 mph in the US or 15.5 mph in parts of Europe with pedal assist only operation. 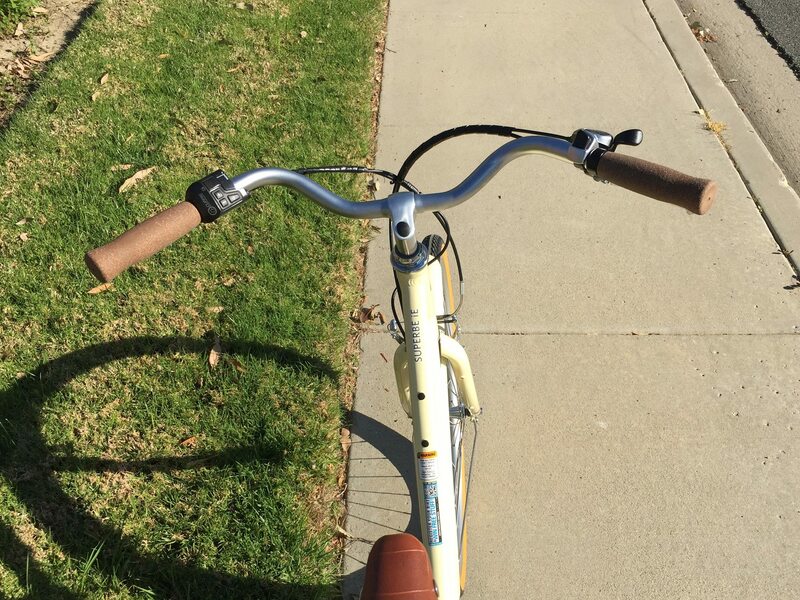 You get seven gears to pedal with and a large easy to understand shifter. 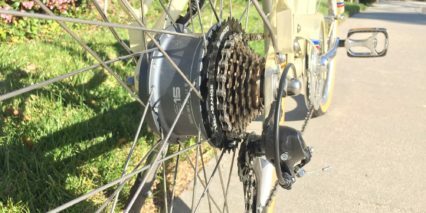 And while the Tourney drivetrain is at the bottom of the Shimano line in terms of performance and quality, the cassette offers good range with a Mega gear for climbing. This is, after all, a ~51 pound bicycle. 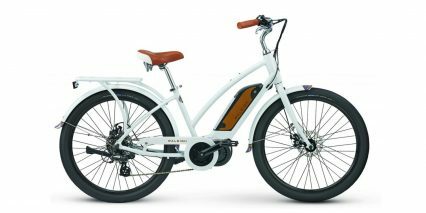 The only missing feature was lights and the frame actually comes pre-wired for them so ask the dealer if you plan to ride in nighttime conditions. 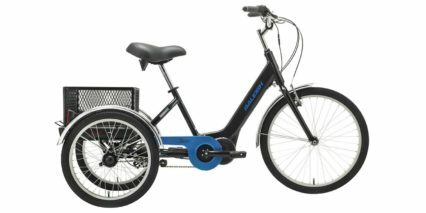 Driving the bike is an average power 250/350 watt internally geared hub motor. 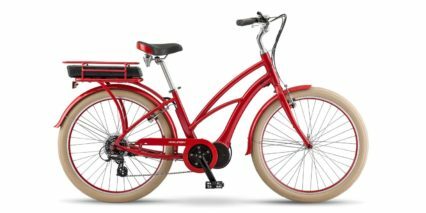 It’s mounted in the rear wheel and almost disappears behind the cluster of sprockets. 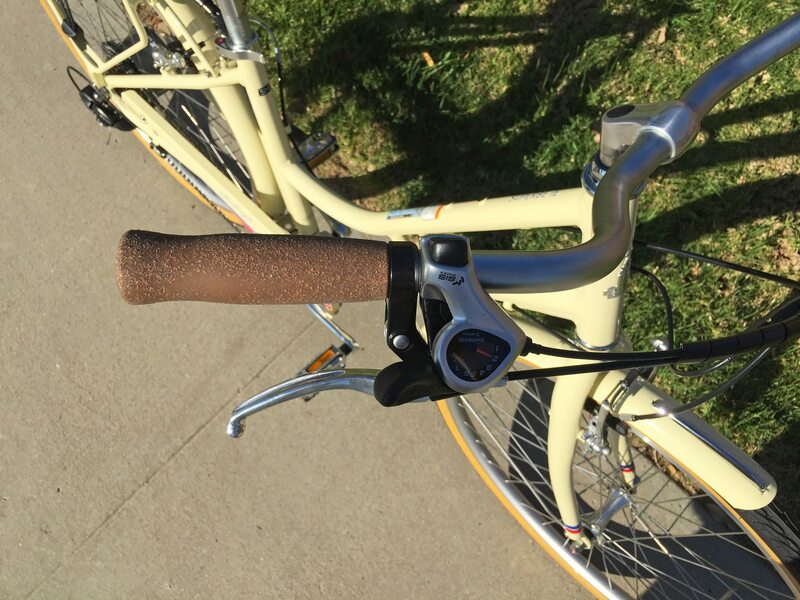 While the rating on this thing is average, it performed very well and was exceedingly quiet during my test rides. 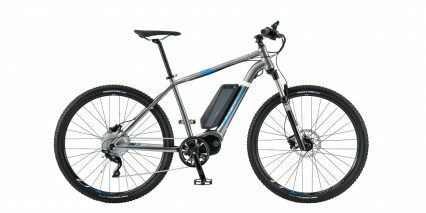 I had no problem climbing small hills and found that the 12-magnet cadence sensor was very responsive without making the bike feel jerky. 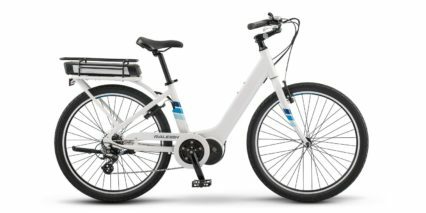 As a person with sensitive knees, I appreciate how cadence sensors can take the work out of e-biking by listening only for crank arm movement and not force like torque sensors. 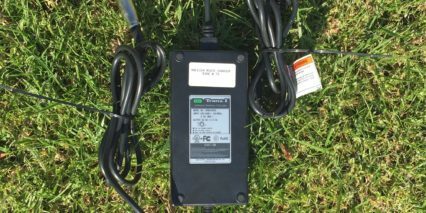 They are bit simpler and cheaper but when the motor controller is programmed well, as it is here, they can be delightful. The only drawback is that they don’t offer power instantly when starting from a complete stop. 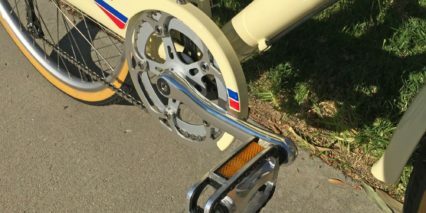 If you haven’t planned ahead and shifted down, this could result in a very difficult first pedal stroke before the bike realizes you need assist and jumps in. Another highlight with the electronic drive system is how well the motor is wired with the power cable coming into the side of the axle vs. the end (which exposes it to bends and snags). 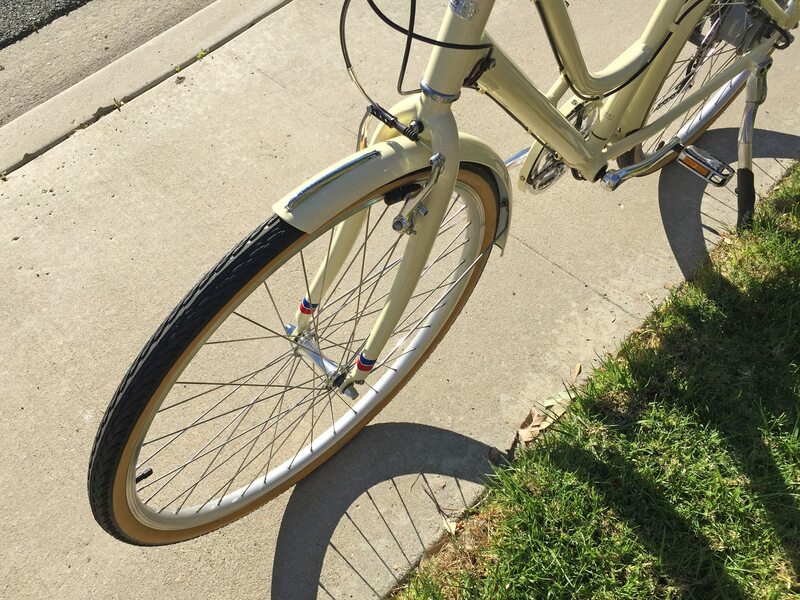 Note that both wheels are fastened to the bike with nuts vs. quick release and the tires are more basic so you might want to bring a tool and a patch kit or cell phone in case you wind up with a leak. 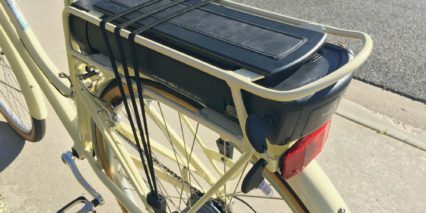 Powering the motor and display panel as well as lights (if you choose to wire them in) is a rear-mounted removable battery pack. 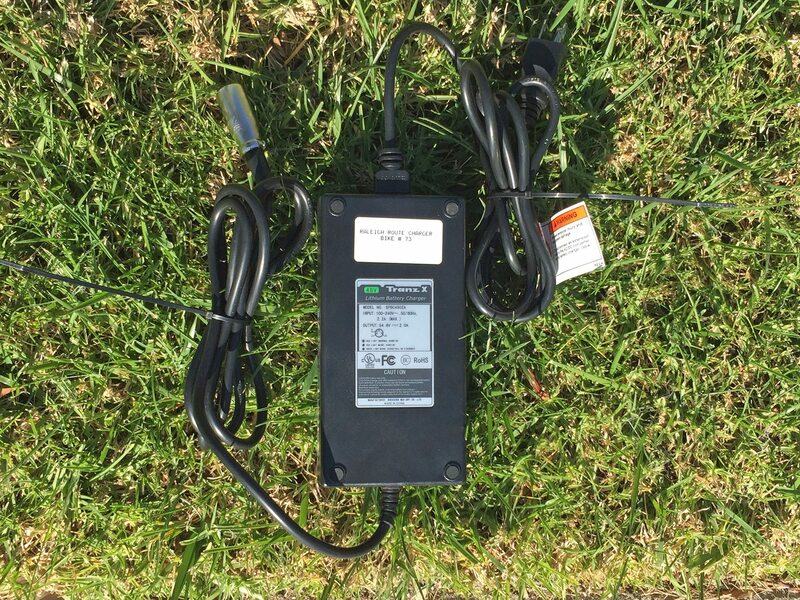 It offers efficient 48 volt power with 8.8 amp hours for an average capacity. 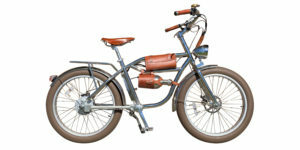 Some older Raleigh electric bikes ran on 36 volts which didn’t seem as peppy. I don’t know what the Amperage is here on the Superb iE but as I mentioned before, it felt surprisingly capable given the size and low noise being produced under full power. 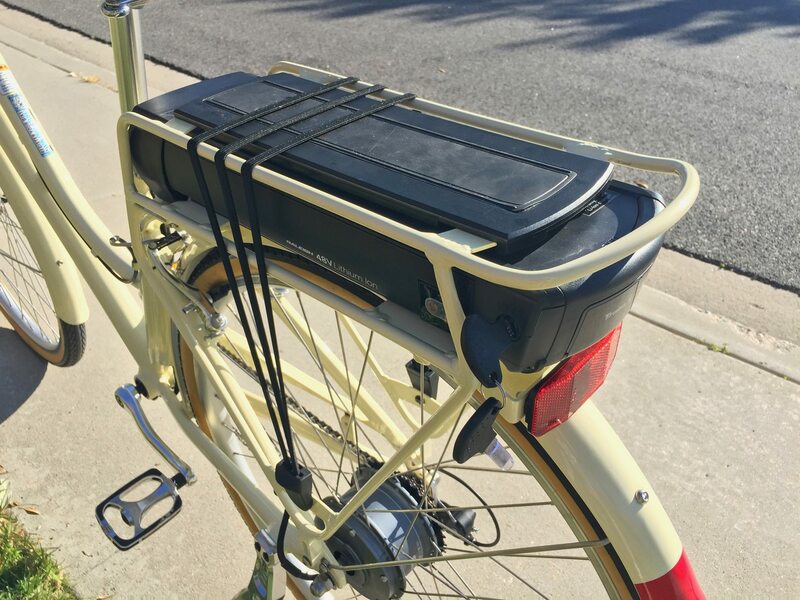 The battery pack is well done with a magnetic handle at the back (great for pulling it off the bike and carrying it around safely), an integrated fuse for safety and an LED charge level indicator on the left side towards the back. You can see how full the battery is whether it’s on the bike or not and you can charge it on or off the bike which is super handy. I tend to park my bike in the garage and store my battery inside for charging and it’s the same setup at the office. 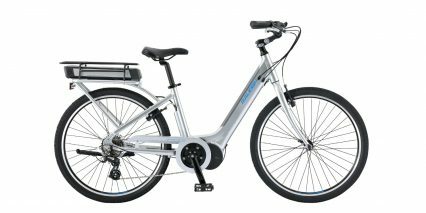 Being able to remove the ~7.4 lb battery also makes the bike itself lighter and easier to work on or transport. 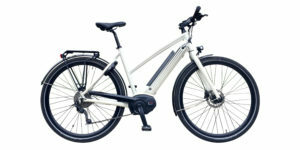 Inside are premium Lithium-ion cells produced by Panasonic and they are covered by a leading two-year warranty. My only complaints with the battery are how it can be difficult to slide on and pull off because the track is tight… though perhaps it will loosen up over time? And also, how you have to press the LED power button before you can press the power button on the control pad near the left grip in order to actually operate the electric systems of the bike. 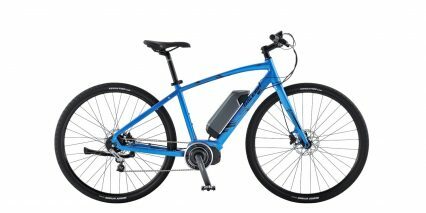 It can be easy to get excited and hop right on the bike only to have to get off again to press the battery power button (unless you’re more flexible than me and can reach!). 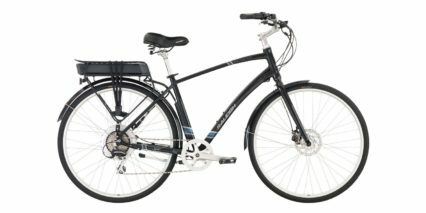 In my opinion, the Raleigh Superbe iE is a fantastic electric bike. 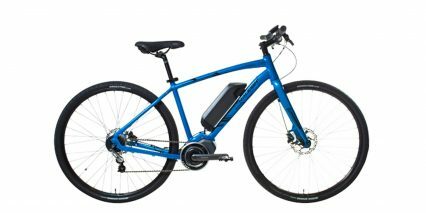 It uses older, more basic drive systems (hub motor, cadence sensor) but has refined how they work so you aren’t suffering from a loud, weak or jerky ride. You get the benefits of these proven systems, the simplicity of pedaling and shifting independently from the motor, a less expensive product and a more hidden design, while still feeling decent power and performance. 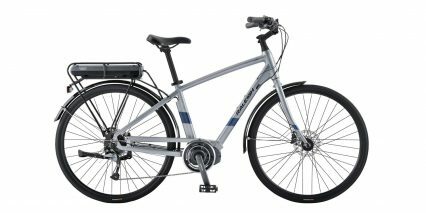 For me, it was actually beyond decent but I tend to pedal actively and don’t weigh a whole lot at ~135 lbs. 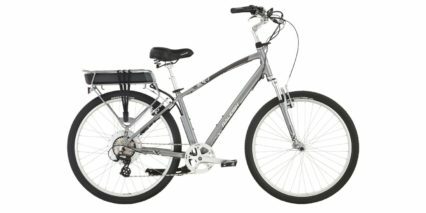 I love how these bikes look, the matching fenders are both functional and beautiful with silver accents. 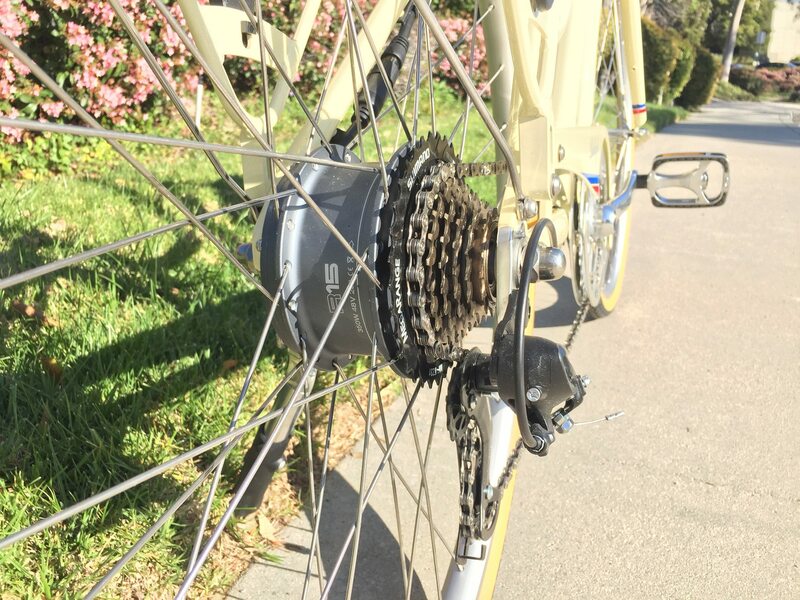 Your chain shouldn’t bounce off even though the fenders might rattle a little on bumps and your pant legs will stay clean thanks to the chain cover. 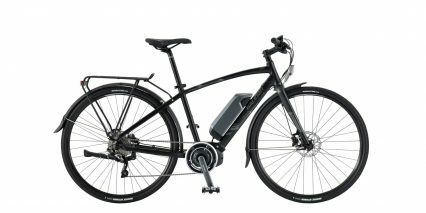 The brakes are nothing special, linear pull v-brakes, but they’ve worked for decades on non-electric bikes. 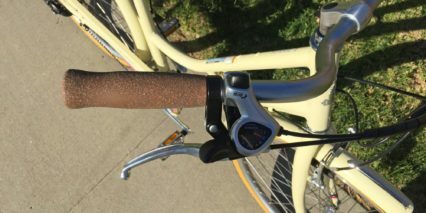 The brake levers aren’t a real high point compared to new hydraulic ones that offer adjustable reach, but they match the silver accents. At ~$1,800, you get decent value here, especially if you can buy from a dealer and get setup properly. 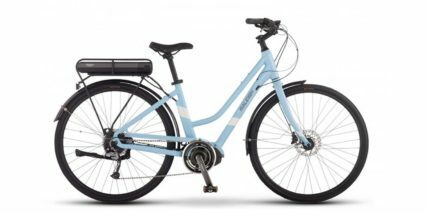 Whether you’re planning to commute or just ride for fun, the Raleigh Superbe iE is a great platform to work with. 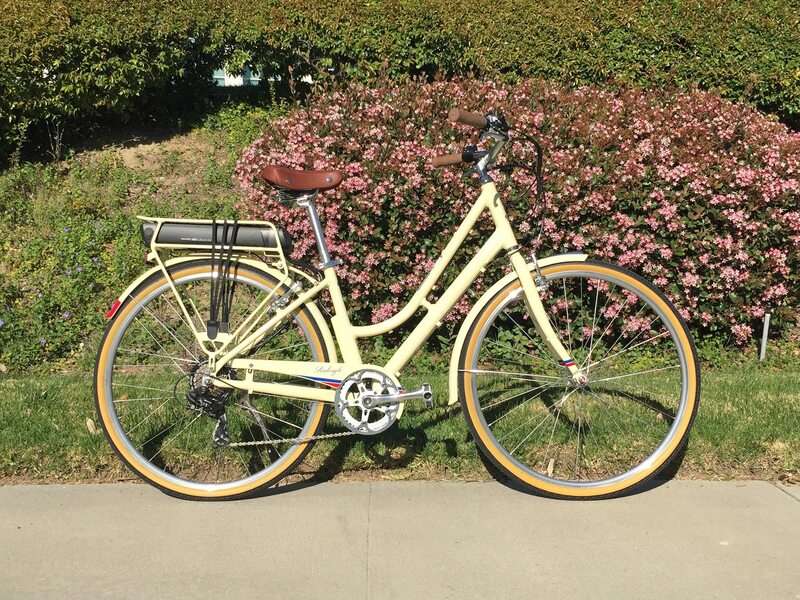 It does have some lower-end parts and is rear heavy but it exceeded my expectations for comfort and I love how the kickstand was mounted (out of the way of the pedals and motor) and that both frame styles come with bottle cage bosses. They got the little things right and it’s hard to argue with something this beautiful. 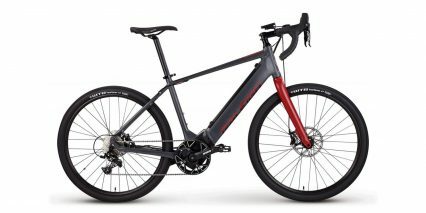 Big thanks to Raleigh for partnering with me on this review and inviting me to their North Amerian headquarters to test ride several models back to back. 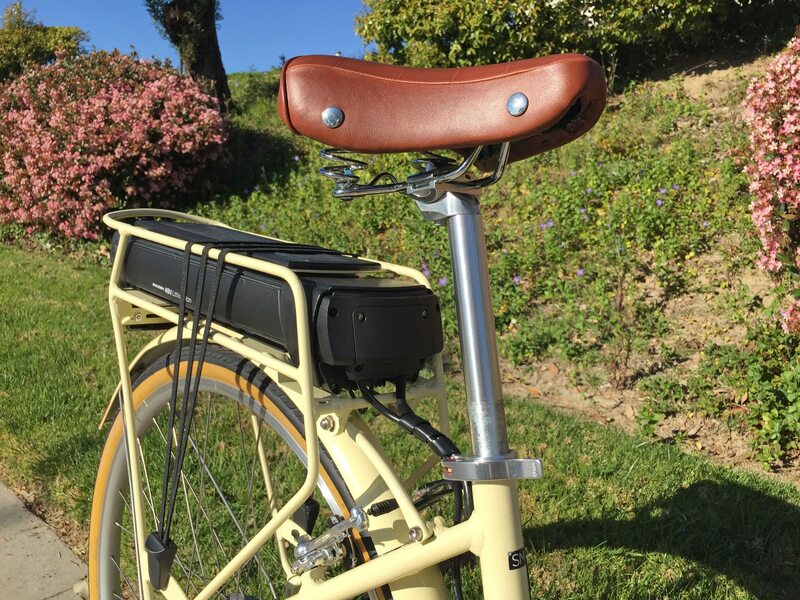 I’m in love with the Faraday Porteur – a classically beautiful, quiet, natural-riding bike that doesn’t look like an e-bike at all and doesn’t weigh a ton so you can ride it without assist—but the price is too high, so I’m looking at Raleigh Superbe iE, Blix Aveny, and Public D8 as alternatives. I’m leaning toward the Aveny but its noisy motor and lack of a full length chainguard give me pause. 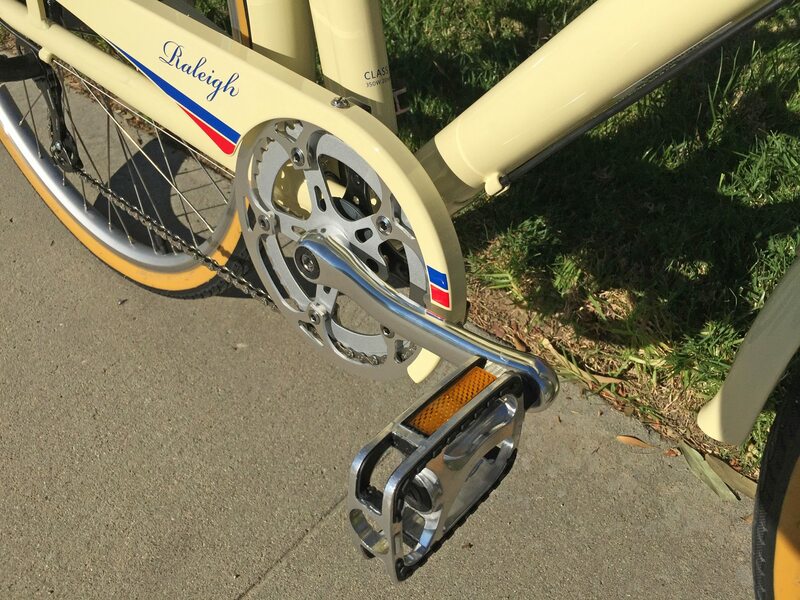 I like the Raleigh but the low-end drivetrain and lack of a throttle give me pause. 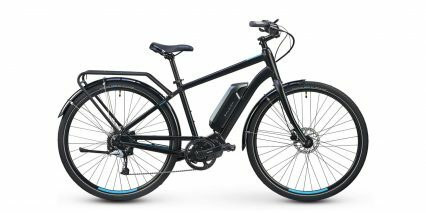 I like the Public but the conspicuous hub motor and exercise-biased torque sensor give me pause (my wife has the M8, and it winds up making you ride in too high a gear so that you’re straining hard enough on the pedals to wake up the motor). 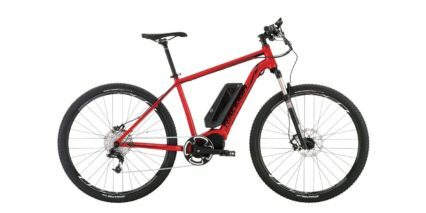 Meanwhile my LBS says 350 Watts is too little for a 200 pound guy and wants to put me on a 500 watt Magnum Metro, which is looks like a mashup of classic cruiser and modern mountain bike and weighs in at 60+ pounds (!). 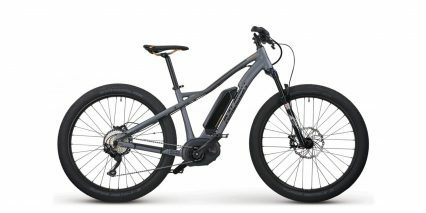 I figure if I really wanted a faster and more modern looking ebike then I’d be a bit more inclined toward a final-year Blix Stockholm (500 w motor, front shocks). 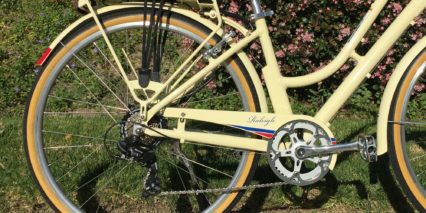 Or I could try putting a Bafang or Tongsheng mid drive kit on my beloved existing Kettler Berlin Royal, assuming the bottom bracket is compatible, but that would require upgrading to disc brakes too, and sounds like a lot of risk and hassle for no cost savings. 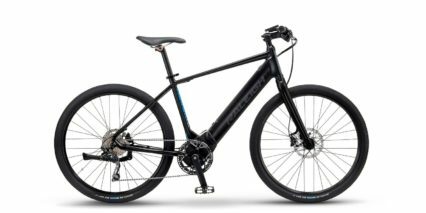 My use case, BTW, is to commute 3-4 miles each way to work and back about half the week (with a moderate but relentless incline getting there in the morning), and leisure riding on weekends. Hi Dennis! 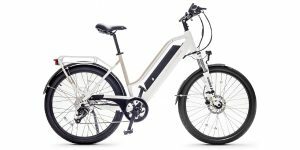 Lots of options there, I have enjoyed the Faraday products but agree that the style and drive system integration puts the price a bit high. Magnum has been doing a great job expanding their dealerships and I like that the Metro and others offer pedal assist and throttle mode (it sounds like that’s something you want right?) 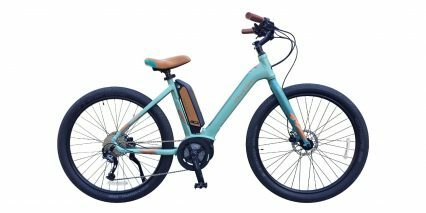 IZIP/Raleigh offer nice looking products and with a mid-drive I think you would be alright using a 350 watt nominal motor (which peaks closer to 500). 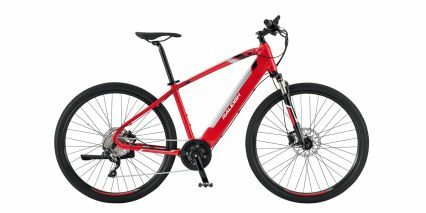 The local ebike shop might just want to sell you what they have, but it’s not bad to go local because they can offer support and get you setup right from the start. I hope this helps, I think you could be happy with most of those options. Thank you, Court. Your input was really helpful in making my decision! 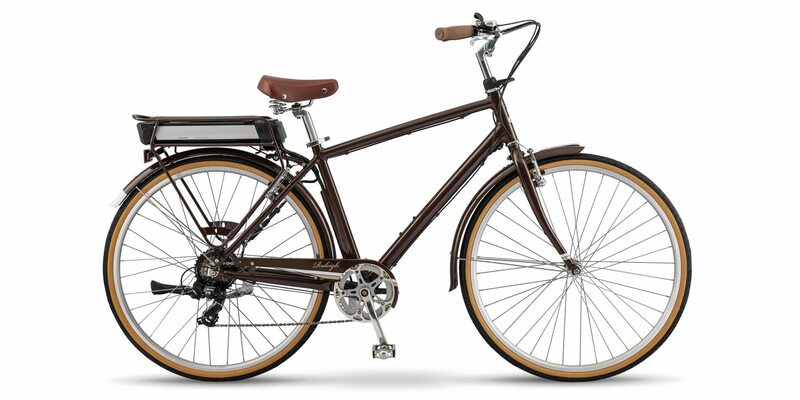 I was very attracted to this Raleigh—gorgeous bike, especially the root-beer brown high-step model, and a terrific price—but decided I wanted either a throttle or an internally geared hub (to avoid getting stuck in a high gear at a stop). 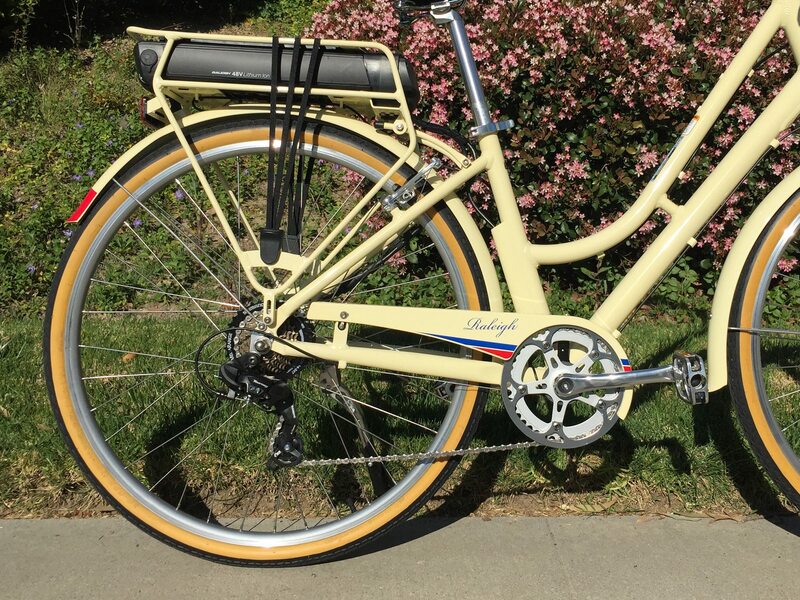 I almost went with the Blix Aveny when, lo and behold, I found a “demo” Faraday Porteur on a bike shop’s website for a price I couldn’t pass up…so, one FedEx box later, I’m now the proud owner of my dream bike! 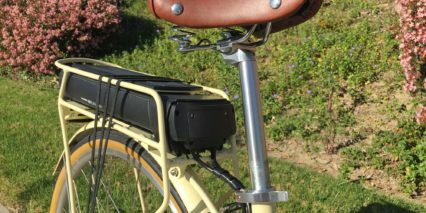 The Porteur’s small internal battery turns out not to be a problem for range, because the bike is so light that you ride with the assist off most of the time. Which is good, because it turns out that I substantially underestimated the distance to work! I will caution others, though, that there’s risk in buying sight-unseen. The website promised that all demo bikes were reconditioned to like-new, and the guy on the phone said it had been hardly ridden. 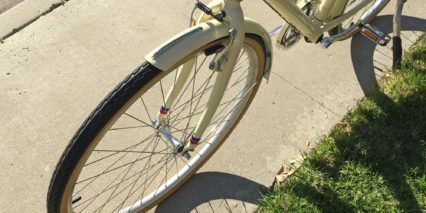 Turns out it had been used as a rental, parked carelessly outside daily, and wasn’t even wiped off before shipment, let alone “reconditioned.” I was miffed at first, but decided to embrace the patina and enjoy the ride. 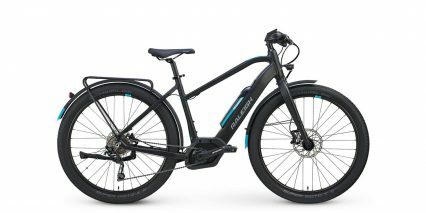 E-bike ownership truly is a joy. This is listed as a Class 2 but in the review you say it’s Class 1 only. Can you clarify please?